Are the holidays sneaking up on you? Thanksgiving is a week away, and the rest of the holiday season is going to come rolling along. The good thing is that it’s still not too late to get a tablecloth for your Thanksgiving meal. Here are some customer favorites from past years (and one great value at the end) that are still available, and with express shipping, they’ll be in your hands in no time. Imagine a formal event… What do you see? Chances are, a crisp white tablecloth draped over the table. 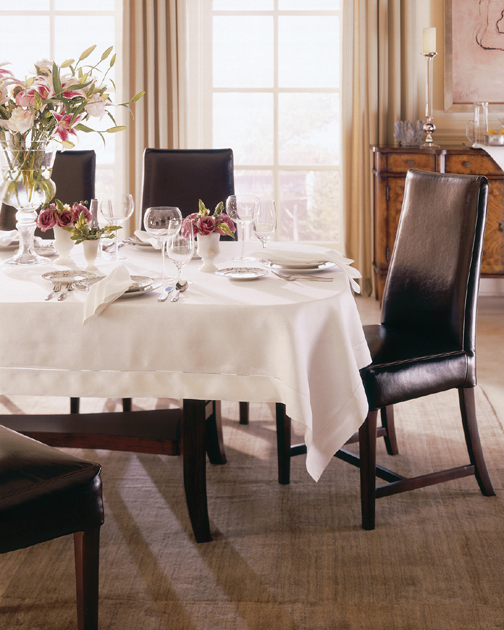 Some things will never change, and that’s why our plain formal tablecloths remain favorites for the holidays. The Tudor hemstitched linen tablecloth, made from a very fine Italian linen and finished with a traditional hemstitched border, symbolizes traditional and formal elegance. 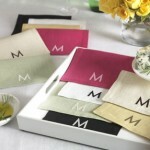 You can use it for special occasions or mix and match with colorful napkins and toppers to be more creative and fun. 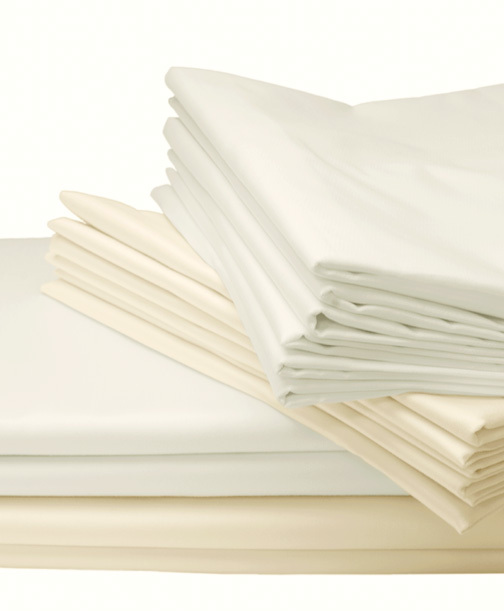 The Carlton cotton tablecloths and napkins are another very popular choice, and for good reason: With the holidays and unexpected guests showing up, it’s always handy to have these plush, heavyweight Egyptian cotton tablecloths and some extra napkins around. They instantly give your dining room that special high-end hotel look. 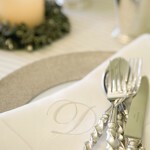 A tone-on-tone damask, such as white on white or ivory on ivory, is equally appropriate for holiday entertaining. They give your table an interesting pattern that’s subtly woven into the fabric, creating a formal sense of elegance while introducing fanciful details. 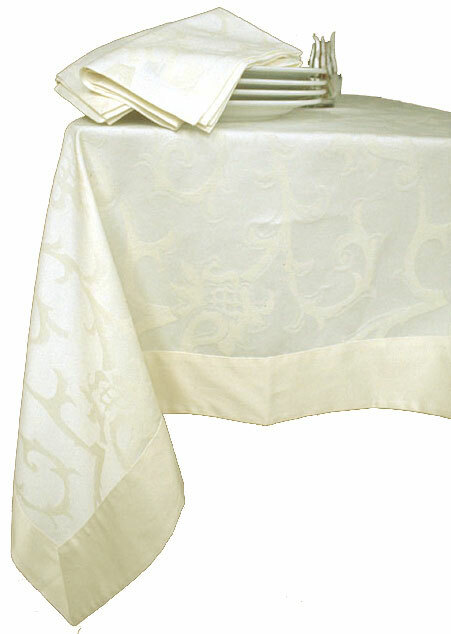 The Chrysanthemum linen damask tablecloth has two woven bands of chrysanthemums on a fine Irish linen. This is one of those heirloom patterns that remains popular year after year. 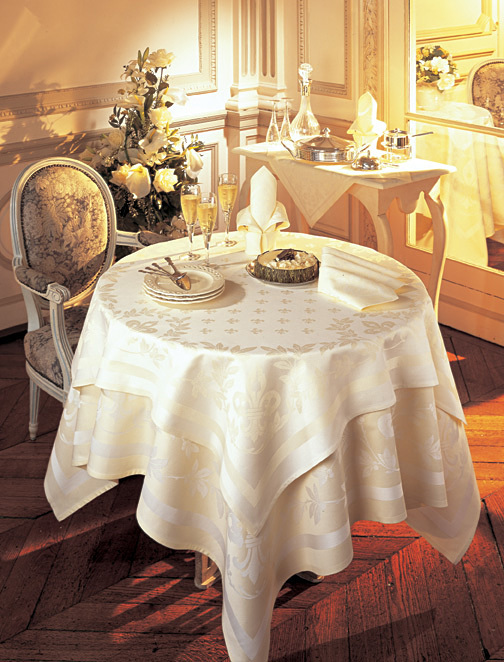 The Triomphe cotton damask tablecloth sports the fleur de lys, an ancient symbol of the French royalty that you’ve probably seen over and over again on your trips to France. Perhaps that’s why it’s been such a popular pattern? 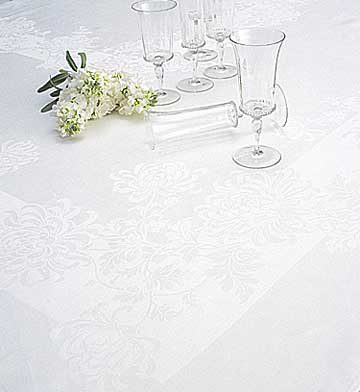 The Ashford damask cotton tablecloth features a delicate vine damask on smooth Egyptian cotton. 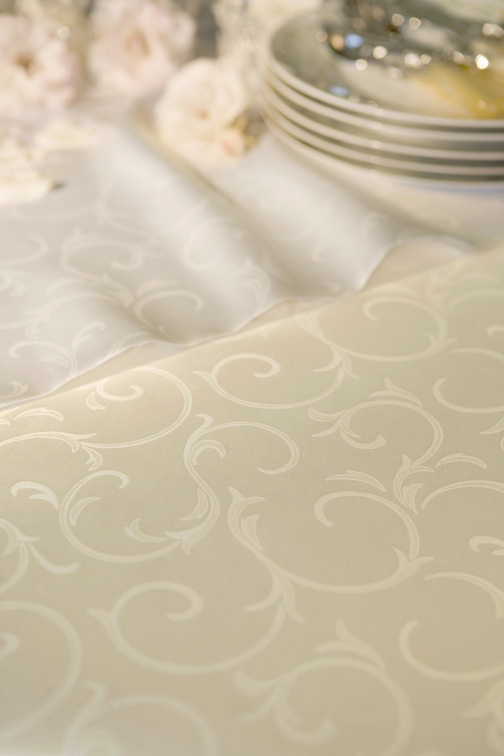 This pattern brings back classic Italian style in a more restrained, modern fashion. The Blossom easy care tablecloth is a breeze to use. We like that it’s sophisticated, with a traditional Italian scroll bordered in ivory, and we love that it is easy care, so you don’t have to iron it after it’s washed. Now that we’ll be discontinuing this particular style to make rooms for others, the remaining tablecloths are available at a discount of 25%. I hope this helps you get ready for your holiday entertaining!